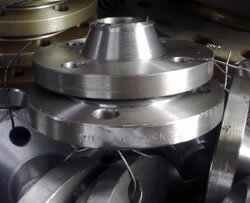 Our weld neck flanges feature high strength, good toughness, and high resistance to corrosion, high pressure and temperature. The raw materials of them come into carbon steel, stainless steel, alloy steel, low temperature steel and high performance steel. 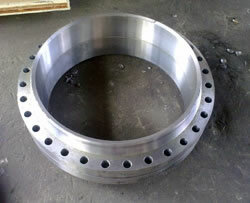 Also, we can provide customized flanges according to customers' requirements. Slip On Weld FlangeSlip on weld flange can be slid onto a pipe and then welded in place. 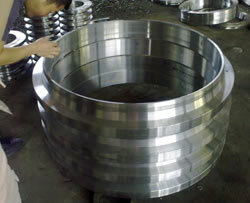 It is made of carbon steel, alloy steel, and stainless steel. The industrial processes come into die forging, and machining. 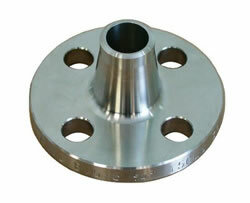 We can provide a wide range of slip-on weld flanges, following on standards like ASME B16.5, ASME B16.47,..